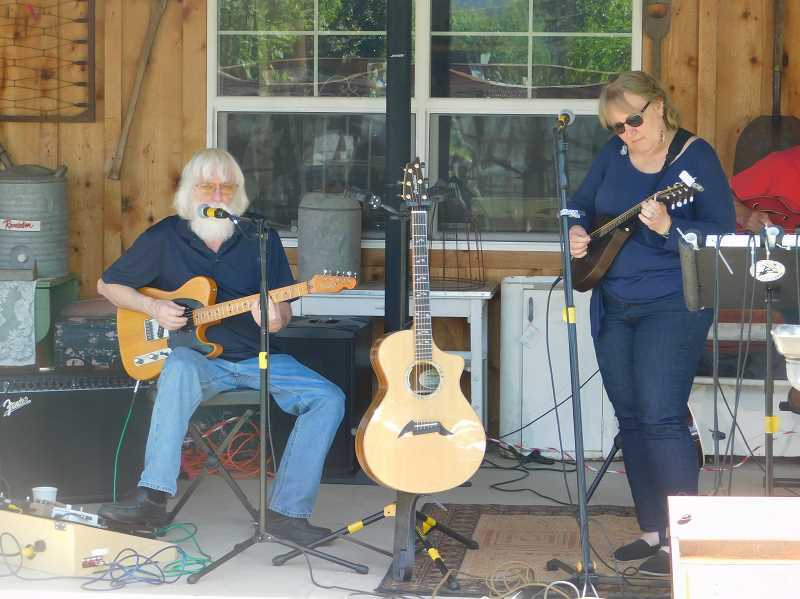 The sun was shining and sounds from musical group Rick & Barb & Friends filled the air as community members connected with local farmers and artisans on the opening day of the Estacada Farmers Market. During the event on Saturday, May 12, outside of Wade Creek House, 664 N.W. Wade St., vendors offered everything from plants and gourmet mushrooms to handcrafted items and massages. The market will run from 10 a.m. to 2 p.m. Saturdays through Sept. 29. 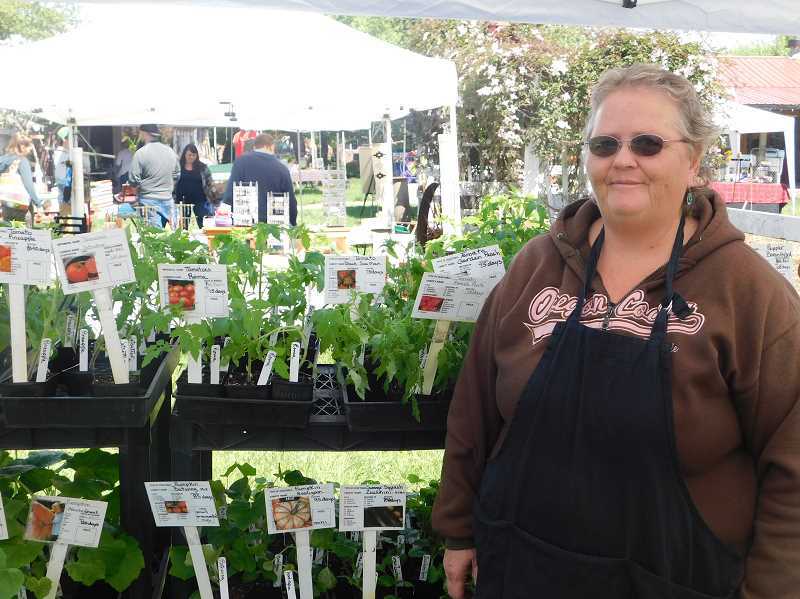 "I'm excited about the diversity of vendors this year," said Tonya Buus of Mystic Hollow Farm. Buus offered a variety of handmade goat products like soap, lotion and bath items. At Bella Kaya Organics, Jamie, Jason and Kaya PoVey offered gourmet mushrooms, including oyster and shiitake varieties. "We were trying to find an activity for our daughter. It started out as a hobby and expanded," said Jamie PoVey. "We're glad we found something to bring to the community." Karen and Leanne McCarty of Beads N' Baubles had handmade earrings, bracelets, hats and other accessories for sale. The mother-daughter duo have been with the Estacada Farmers Market for 11 years and appreciate its community feel. "I've loved getting to know people over the years," Karen McCarty said. Joyce Wright of Wright's Nursery offered tomato, pepper, herb, strawberry and blueberry plants. Later in the season, she will also have hand puppets, hats, baby blankets and scarves available. Her favorite part of the farmers market is connecting with customers and fellow vendors. "I love getting out and seeing people every year. It's a social thing," she said.